Who Is Linda Maria Frank? 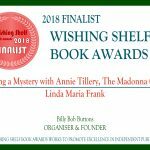 About Linda Maria Frank: With the introduction of the Annie Tillery Mysteries, Linda has been happily launching a new career writing great teen mystery books. Inspired by a childhood passion for Nancy Drew books and the popular television series, CSI, she successfully combined an appealing heroine, Annie Tillery, with a gripping story plot to create new fiction books for mystery readers. Before venturing into writing, Linda’s first love was teaching science. She taught in Seaford’s Middle School and High School and was awarded the Seaford High School Teacher of the Year in 1989. 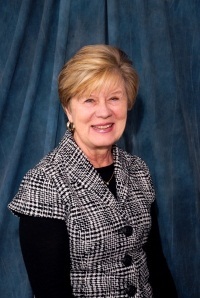 Linda ended her career in the high school as Department Chairperson, teaching biology, chemistry and forensic science. Linda went on to teach forensic science and biotechnology at Hofstra University. She recently retired from Adelphi University where she supervised science student teachers. In 1995, Linda Maria Frank received an award from the American Association of University Women for inspiring young women to pursue the field of science. Linda is a native New Yorker, born in N.Y.C. and a lover of the greatest city in the world. She lives on Long Island, which affords the best beach experience on the East Cost and led her to years of sailing. She loves to cross country ski and also travel. It’s those interminable waits at the airports and long flights that afford her the opportunity to still write long-hand on a yellow pad before committing text to the word processor.